The downside of being a celebrity is that you have practically no private life. Everything you do is out in the open for all to see, for all to criticize, there is no privacy in celebrity life. Whether it be their tumultuous relationships, their families or their hobbies, people take an active interest, purely due to the glitz and glamour their profession lends it all. Parenthood isn’t something that isn’t exempt from this either. 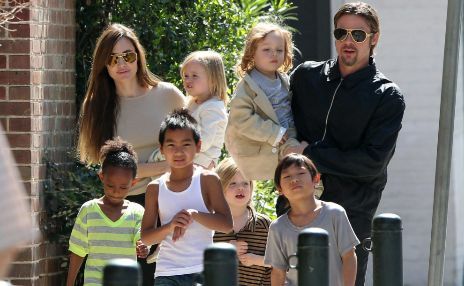 In fact, most are more curious about how celebrities raise their kiddos much more than anyone else. Parenthood is tough even as it is. Even if you are not a celebrity, everything you do as a parent, every decision you take with regards to your children, the society is watching and they are ready to judge. For celebrities, this is even more so. Whether they choose to bottle feed, breastfeed or simply let their kids be kids and have their way every once in a while, the public eye is towards them and everybody has something to say. Parenthood is about having to take decisions all the time and the difference between the celebrities and us normal folk is that while we are only subjected to the criticism of in-laws and possibly neighbors and relations, the celebrities are subjected to the criticism of thousands of people, all of them complete strangers. Needless to say, the pressure is definitely on. Celebrities are criticized all the time – either on their social media profiles or on tabloids for whatever the choices they make. The most biting however is how they are criticized for raising their kids. Victoria Beckham’s Instagram photo of her kissing her daughter on the lips earned many negative comments while many others posted that it was a beautiful photo while posting pictures of themselves kissing their children too. Kristin Cavallari has also been criticized saying that her child is too skinny after a photo has been posted on her Instagram account of her son at the beach. Coco Rocha posted about an app that delivered formula for her daughter and she was criticized for not breastfeeding her child so much so that she felt that she owed an explanation to the public saying that after 5 months of breastfeeding, her milk went dry. And Charlize Theron was called a “monster mom” for taking her son away while he was having a meltdown in front of the paparazzi and it was quoted that she was “dragging him” instead of gently calming him down. Chrissy Teigen on the other hand has been criticized for a myriad of things including picking a female embryo during IVF treatments, going out to dinner shortly after giving birth and even for eating sugary cereal during her pregnancy. It all came to a point when husband John Legend stepped up to defend her saying that he should be shamed too if the public is going to shame her for making those choices. Children in their growing years, need constant attention. They need the love and the care of their parents more than anything else and this requires the parents to be present and available at all times. This is not always easy for celebrity parents. Fame and fortune is all very well but in order to keep the fame and fortune, they must still work to earn their keep. With both parents constantly busy with their own careers, often being away on various tasks, they often have to rely on nannies and sometimes even relations to take care of their children for them. This of course is not the best solution for a growing and impressionable child. Also, this invites various sorts of criticism as well and this is especially true to female celebrities. Going back to their respective careers right after giving birth is something that is frowned upon no matter how pressing and how essential the worlk is for them. It is often assumed that the mother should stay home for a considerable amount of time to take care of the child, however capable the person taking care of the child is in place of its mother. This is often discriminatory as there exists very little of such criticism for male celebrities while females are suffered through the worst of it.